Coral Reefs are the most diverse aquatic ecosystems on the planet but are suffering from a multitude of threats including global climate change, alterations to reef communities and a range of newly emerged diseases. Our research on includes both ex situ and in situ studies. 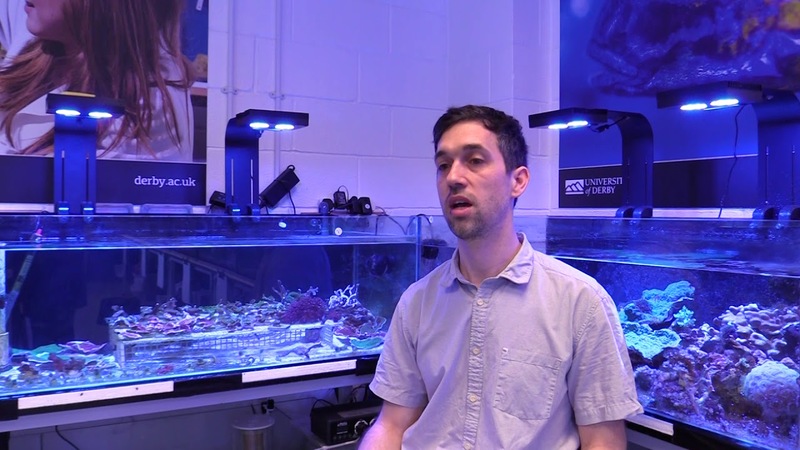 Ex situ work is in collaboration with zoos and aquariums around the UK, with some based at partner institutions and some conducted at our new Aquatic Research Facility. In situ work occurs at locations such as the Reunion Islands and the Maldives. In the Reunion Islands for example we are exploring the cause of mass coral reef fish die off in a new EU funded project. The long term plan is to identify the most likely causal agents of this die off and try to identify the potential source; it is possible that our eDNA expertise will contribute to this study. The long term aim is to develop and implement management strategies to halt and reverse the loss of fish in reef ecosystems.